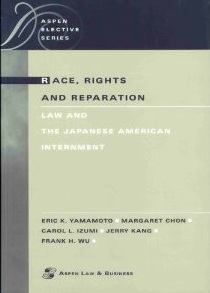 RACE, RIGHTS, AND REPARATION: THE LAW AND THE JAPANESE AMERICAN INTERNMENT (with Profs. Eric Yamamoto, Margaret Chon, Carol Izumi, and Frank Wu) (funded by a grant from the federal Civil Liberties Public Education Fund) (ASPEN LAW & BUSINESS 2001), with Teacher’s Manual (2001). This is the first legal textbook to focus on the internment of Japanese Americans during World War II.